How far along: 17 weeks + 3 days along. How big is baby? 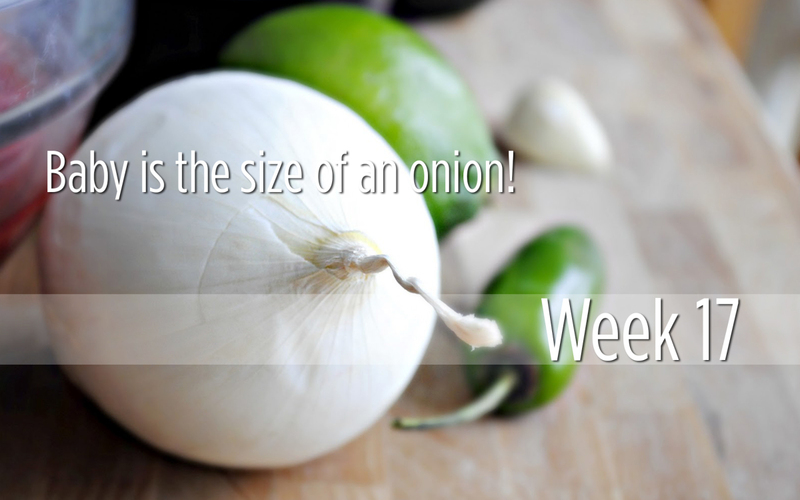 These fruit comparisons always did get weird - isn't last week's avocado bigger than this week's onion? Sleep: The dreaded cold lurgy has come back, and so none of us have been getting much sleep around here. Symptoms: Mostly cramping. Makes me a bit anxious, but I'm hoping that means things are growing. Best moment of this week: Seeing the baby again last week, and getting that cute little 3D glimpse of her. Miss anything: I had a platter full of deli meats and soft cheese in front of me at a party on the weekend and I wanted to dive in headfirst and eat all of the things... but of course, I restrained! Movement: On Mother's Day, I thought I felt something. Then on Tuesday morning, I had Georgia sitting on my lap and I swear I felt a nudge. Nothing since though, and nothing constant. Food cravings: I feel like hot chips and gravy. Anything making you queasy or sick: Cooking meat. Barf. How's your mood? I'm nervous this week, for some reason. Nervous that things have gone so smoothly these past few weeks, nervous that there might be something scary happening I don't know about, nervous that the morphology scan will show something scary. But also hopeful... hopeful we might just get there in the end this time. Looking forward to: The weeks continuing to disappear, and the morphology scan in a fortnight's time. 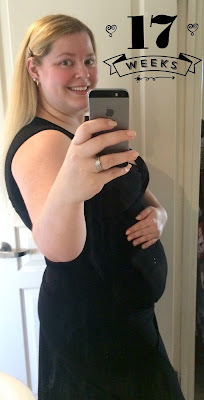 The Bump: Still more belly than bump, bring on the growing, growing, growing! This entry was posted on 08:38 and is filed under IVF , Pregnancy #5 , week-by-week . You can follow any responses to this entry through the RSS 2.0 feed. You can leave a response, or trackback from your own site.